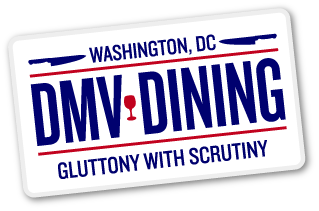 In what is a really overdue post, Rachel and I dined at Cedric Maupillier’s newest restaurant in Shaw a few months ago and were wowed by every facet the French-American bistro had to offer. As fans of Mintwood Place, where Chef Maupillier first made his mark in the District, it was great to see a refreshing take on his beloved escargot hushpuppies with escargot in, well, a blanket. 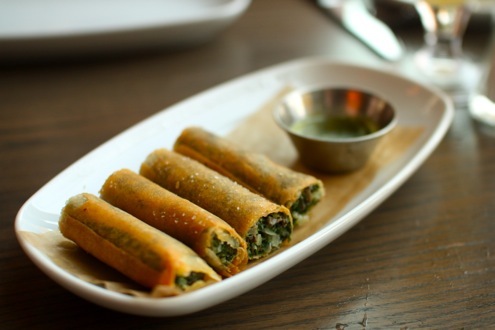 Crunchy and delectable, this is the appetizer you need to start your meal off with. The socca, however, is an absolute must-order just on presentation alone. 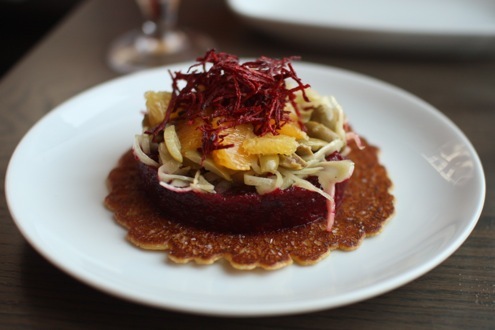 The chickpea pancake sets the foundation for a tower of beets, citrus fruit, shaved fennel, and picholine olives. The combination, as eccentric as it sounds on paper, works so effortlessly well and is the epitome of a summer dish – light, refreshing, and full of flavor. 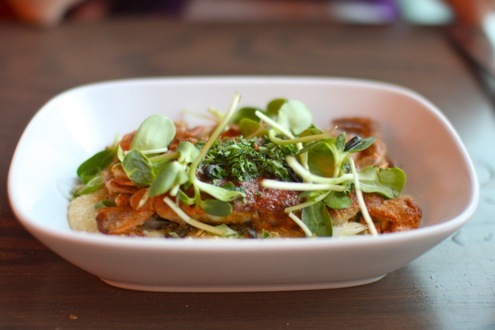 Rachel’s soft shell crab meunière was a delight, which was complemented by sweet corn and hazelnut grits. 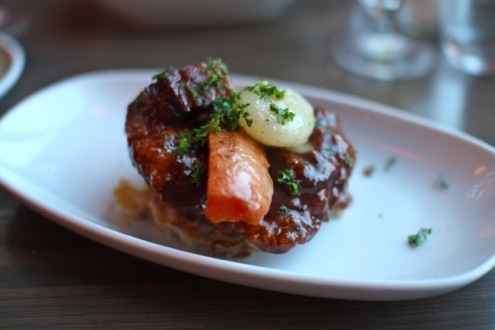 Naturally I had to try the fried chicken “coq au vin” which was just as good as it sounded. The doubly fried and braised chicken was incredibly juicy, bursting with notes of red wine, yet maintained a satisfyingly crunch after each bite. 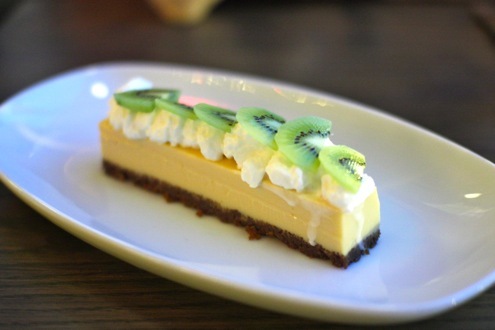 The key lime pie with speculoos crust was an outstanding dessert and rivaled any slice originating from Key West. Topped with slices of kiwi, Rachel and I would buy an entire pie if we could. And while the food was incredible, the service was top-notch as well. Our friendly waitress helped us navigate the menu and was continually checking up on us. Furthermore, given the quality and size of portions, I honestly think Convivial is one of the better values in the city. Both of our entrees were under $20, and considering the work Chef Maupillier and Co. are doing in the kitchen, I tip my hat to them for offering five-star food at such an affordable price point in a city that’s getting more expensive by the year if not month. Convivial is an exceptional restaurant and both Rachel and I are comfortable in saying in that it’s been our best meal of the year so far.